As a child and teenager, I was painfully shy and quiet. That is except on the soccer field. While living in Norway, my sister said she could hear me from a half-mile away. 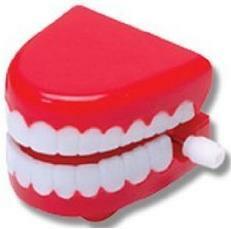 One year in Salt Lake City I won the most-talkative award and received a set of chatter teeth. From a vocal standpoint, especially at a youth level, I was definitely the exception–not the rule. I’ve been asked by a number of people how to get young soccer players to be more vocal. This can be tough because it usually comes down to personalities. Some kids are simply quieter than others. On the other hand, some players can be vocal in a negative or undesirable manner. Below are some suggestions on how to get players to be more vocal. Start slowly by promoting positive comments. Some examples are, “Great shot, nice pass, and good hustle”. Get players to compliment each other. Stress that communication can be non-verbal. Gesturing with the hands that you want the ball is a great start. Making eye contact with teammates is also important. Stress that non-verbal communication is just as important as verbal communication. What is great about non-verbal communication is that in order for it to work, players, especially those with the ball, need to play with their head up. As a coach, play in scrimmages with your players and set a good example. Call for the ball and let players know if a defender is approaching. Make sure to communicate loud enough so everyone can hear. Use teaching moments to point out to the team when communication would have been helpful. Exaggerate your non-verbal communications. Run to the player with the ball when you want to receive a pass. Point to the spot where you want the ball passed. Wink to acknowledge a good play. Pull the offending player aside when you hear poor or improper communication. Blaming or getting upset at others for mistakes should never be tolerated. Reward players for good communication. At the beginning of the season, stock up on tiny chattering teeth. (If the entire league wants to promote good communication, each set costs $0.60 – $0.70. Stickers could be a cheaper alternative.) When a player exhibits good communication, recognize it with a set of teeth. You will see how quickly other players will follow suit so that they too can get some teeth. At the end of the season, recognize the best communicator with a large set teeth. They will remember it forever. Whether they believe it or not, all soccer players have four eyes or two sets of eyes. Everyone knows about the front set. The other set happens to be in the back of the head. Coaches, I have found the following demonstration to be the best and most memorable way to illustrate this new set of eyes. Gather all players, assistants, and some parents and ask them all to sit in front of you. Select a volunteer player to stand behind you and with only one hand, have him/her hold up anywhere between one and five fingers. Make sure that everyone but you can see them. The one rule the volunteer must follow is once the fingers are held up, the player is not allowed to change the number. Make sure to exaggerate to all the players that you can’t see the fingers being held up (i.e., cup you hands to the sides of your eyes, make sure there is no shadow, etc). Put on a convincing show. Open up the set of eyes in the back of your head and tell everyone the correct number of fingers that are being held up. Enjoy the surprised and amazed looks on your players’ faces. Choose another player and follow the same steps. As you do this, start asking the players how you are doing this. Eventually they will catch on. How often you have to repeat this trick will most likely depend on the age of the players. So how am I always guessing the correct number? It’s simple. Someone is gesturing the number to me. I have found that if my informant is either a parent or another player, the players will not catch on as quickly. Before the demonstration, pull aside a parent or player and come up with a set of inconspicuous hand signals that will give you the answers you need. Look at him/her when you are ready for the number. Since the first thing players will look for is someone displaying fingers, I usually designate a scratch of the head as #1 and an itch of the foot as #5. Choose other in-between body parts to represent numbers 2-4. Q: Why is it important to develop eyes in the back the head? Q: How do you develop this set of eyes? A: Peek over your shoulder (the player takes responsibility for developing his/her second set of eyes). A: Have teammates communicate what is happening behind the player (the entire team becomes responsible for developing each others’ second set of eyes. As was written in another post entitled, “2-3 Goal Difference-per Game: Communication“, “man on” is a great way for teammates to let a player know that she must take the necessary precautions because a player is coming up from behind her. There will be much more about communication in subsequent posts. I would love to hear if this demonstration works for you. Share it with the rest of us. There is no prettier sound on the soccer field that 22 players communicating with one another. Communication is a critical component to soccer success. A player can see only so much in terms of what is going on around him at any given time. He needs help from his teammates. In addition, a player needs to know what his teammates are thinking. This can only take happen if everyone is communicating with everyone else. Communication can happen many different ways. The three main forms of communication are verbal, gesturing, and eye contact. For now, I’m only focusing on verbal communication and only two examples. But if you incorporate just these two examples, you will see instant improvement in your team’s performance and communication. Goalkeepers have a distinct advantage over field players. Not only can they handle the ball inside the penalty box but 99.9% of the time, the play is in front of them. As a result, goalies have the best picture of what is happening on the field. As such, a goalkeeper will know best if she will be able to get to a ball before her teammates or opponents. When she makes the decision to attack the ball, she needs to yell “Keep” so the whole field can hear her. It lets the goalie’s teammates know that she wants the ball and therefore not to touch or play it. It warns the opponents that the goalkeeper has every intention of going after the ball. It always helps to have a vocal goalie. However, if you have a quiet goalie, as long as she says ‘keep’ loud enough for her teammates to hear her, that is fine. Another term that a goalie can use in this situation is ‘keeper’. Keep coaches from having to yell or scream the warning. And given decibel levels I’ve heard recently, everyone will appreciate this.